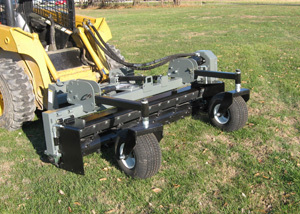 Power Landscape Rakes from Worksaver, Inc. Power Landscape Rakes from Worksaver, Inc.
Power rakes are the ideal tool for the landscape contractor, large property owner, rental yard, park & recreation department or turf management professional. 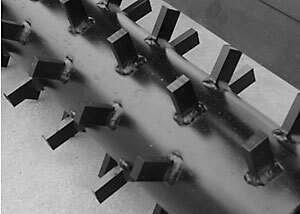 They do it all, prep, smooth, set grade, level, till, remove rocks and create the perfect seedbed making this tool a game changer. 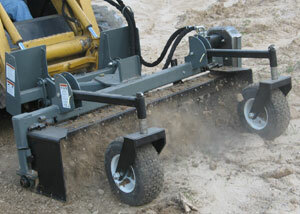 Flip-up side shields are self-storing on the unit allowing ease of windrowing rocks or debris. Flip-up gauge wheels (height adjustable) allows accurate control of working depth keeping machine level for smoother surface finish. Easily flip up out of the way for transport on a trailer. 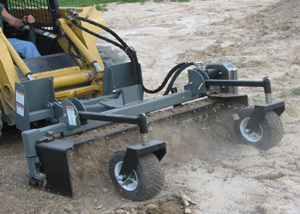 Replaceable bearing housings and triple seal bearings keep dirt out, providing more uptime. Choice of rotors - 2" Sabre tooth or 1-3/4" Carbide Tooth. Dry Chain Case, environmentally friendly reduces maintenance as there is no oil to contend with. 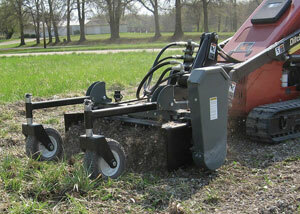 Consistently delivering high performance, the 65-series is designed for Skid Steers over 65 HP. 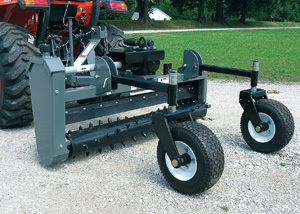 Get more done with a compact tractor when using one of our 25-Series Power Rakes designed for tractors of 24-40 HP. 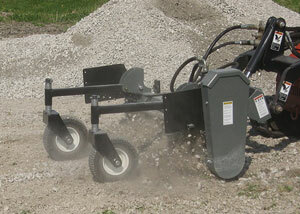 Providing ingenious solutions for your site prep needs, the 40-Series of 3-pt. 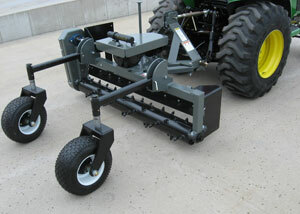 mounted Power Rakes are matched to tractors of 35-75 HP.